I am VERY BUSY writing the last of the Keep Moving stories. They embiggened. It's been amazing. Here, let me give you something fun for today. 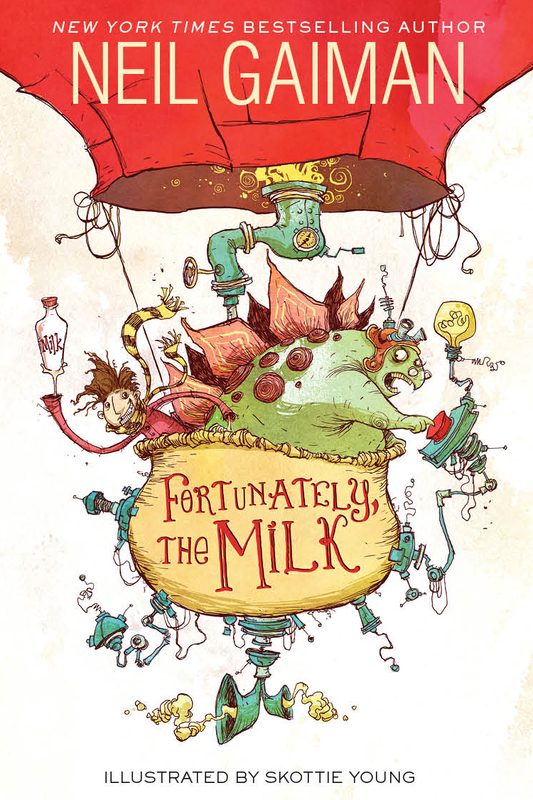 This is the cover of the American Edition of FORTUNATELY, THE MILK, which is being illustrated as we speak by Mr Skottie Young, and will be published in September. It is the silliest book I have ever written, and is quite funny also. And I love that I have the cover up before they even have it shown on the Amazon entry for the book.